Gordon worked with the strapline for each boot to create illustrated assets for each boot. Each created to compliment the culture, history and design of each of the boots. 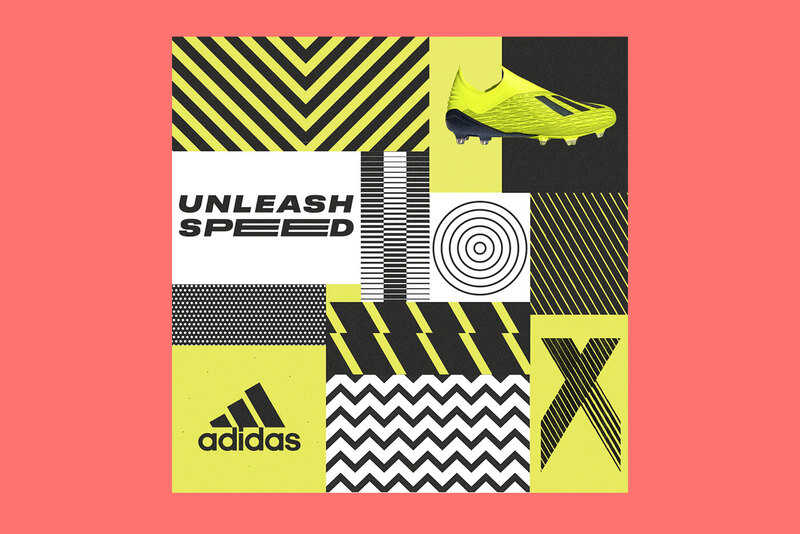 For Instance, the Predator played on more of a retro, bold and graphic feel, whereas the X artwork played on the enhanced speed element and Nemeziz was all about being agile. Each artwork was brought to life using a bold color palette and strong graphical elements that could be used throughout the advertising.